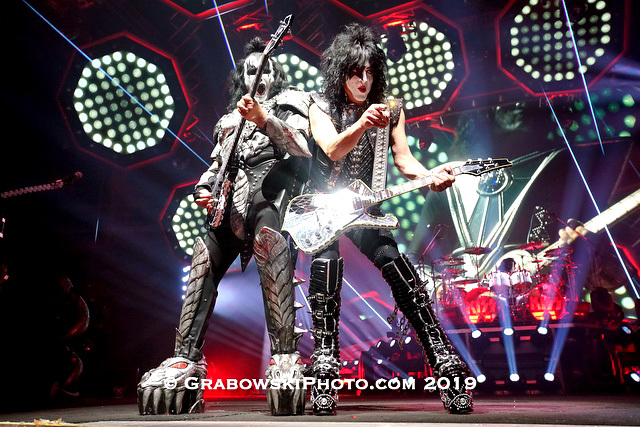 The KISS Army recently filled the TaxSlayer Center in Moline, Illinois to capacity as the faithful came to bear witness to the "End Of The Road". 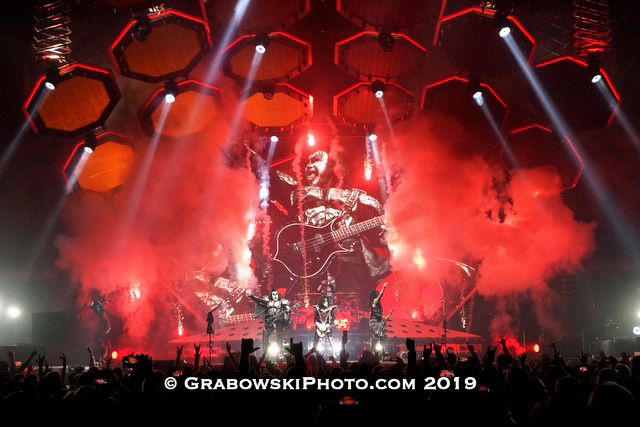 The final KISS tour, celebrating KISStory at its finest, is abound with a set list and staging few acts can touch. 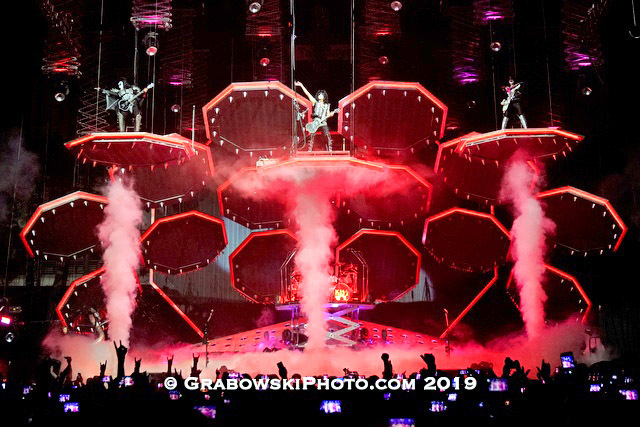 From an over-the-top stage, to pyrotechnics that put most 5 alarm blazes to shame, and fireworks that even the 4th of July would stand up to applaud. This is a spectacle like no other that needs to be seen to be believed and never once does it take away from the performance. 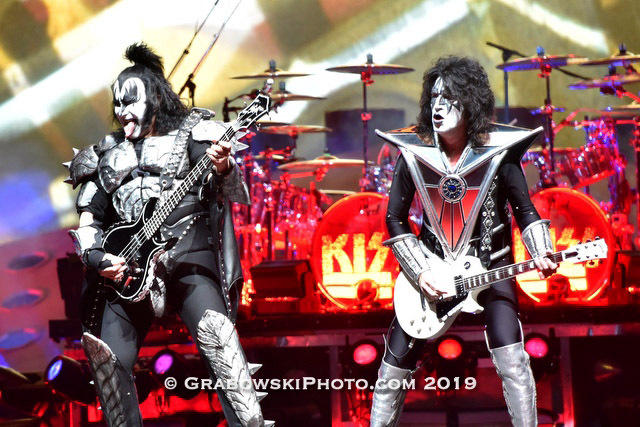 KISS ripped through a 20-song set of hits that truly had the crowd chomping at the bit for more. 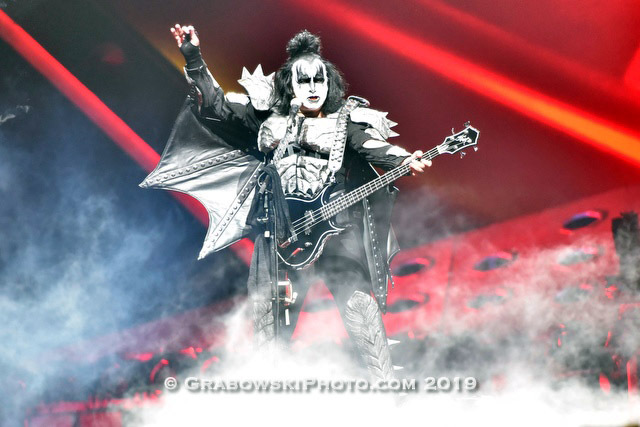 KISS fans saw the departure of original drummer Peter Criss, and lead guitarist extraordinaire, Ace Frehley during the band's initial "farewell" tour in 2000 and while many fans yearn to see the original members embody the Catman and Spaceman outfits, it's the "new guys" who often steal the spotlight from Gene Simmons and Paul Stanley; drummer Eric Singer and guitarist Tommy Thayer fill the void admirably performing the classics with precision. 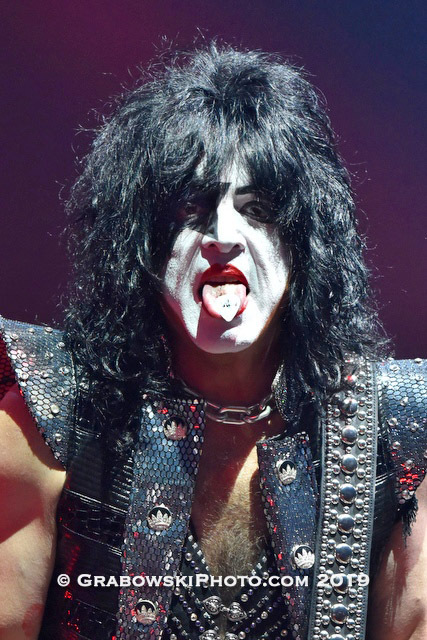 Paul Stanley and Gene Simmons carry the majority of the weight for every live performance as they push themselves and the crowd to new heights. 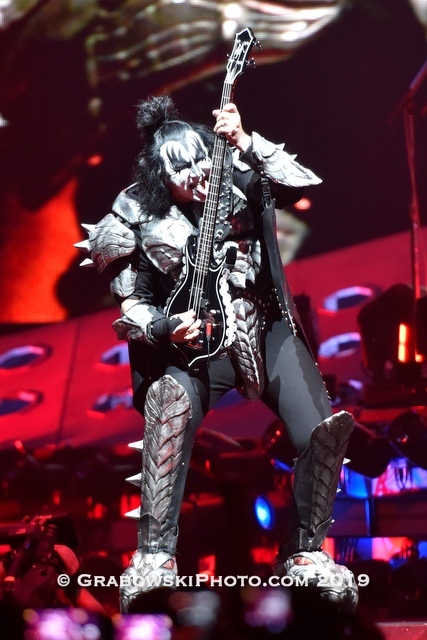 Simmons had his legendary blood spitting and breathed fire during "War Machine" while Paul Stanley flew to a second stage at the back of the arena for "Love Gun". 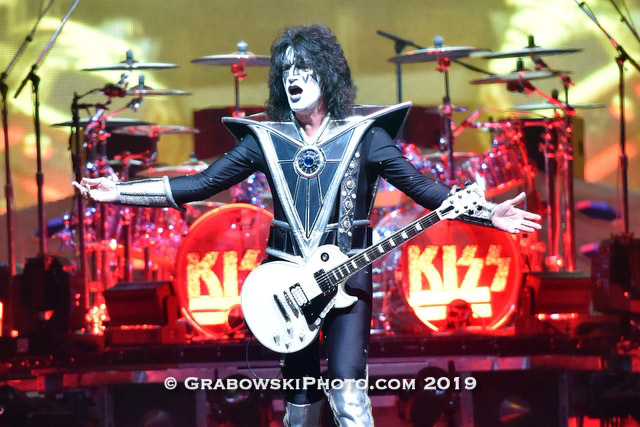 During Tommy Thayer's solo, which has him shooting rockets from his guitar and blowing up lighting rigs above, Eric Singer and Paul Stanley were off in the shadows behind Tommy having a guitar pick war, reflecting their enthusiasm for what they do. 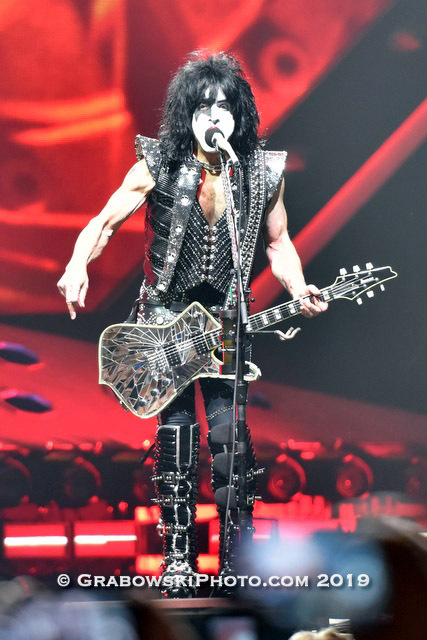 Simmons experienced a malfunction with his microphone stand as he was readying himself for "God Of Thunder", however it led to an unexpected highlight as the crowd began chanting "Gene, Gene, Gene" over and over. While he probably would have preferred to have things work without a malfunction, the look of delight on his face enjoying the crowd was the look of excitement like a child on Christmas morning. 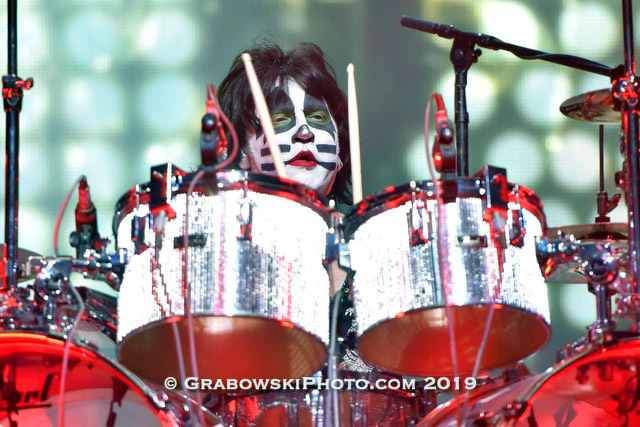 Eric Singer performed 'Beth" on a grand piano with his bandmates joining him towards the end of the song in one of the more unique performances from the classic catalog. While the set list and arrangements may not offer anything new to longstanding fans, the entire band was performing at the top of their game. 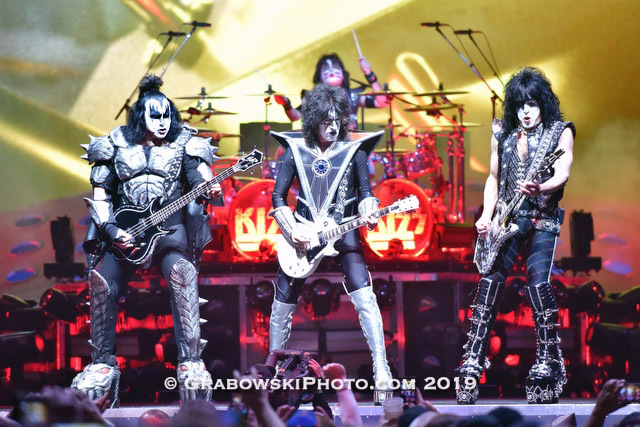 The energy and enthusiasm, along with the playfulness among the band members, really shines through to another level that only a band like KISS can deliver playing forty-five year old songs and making them sound as fresh as if they were recorded last year. 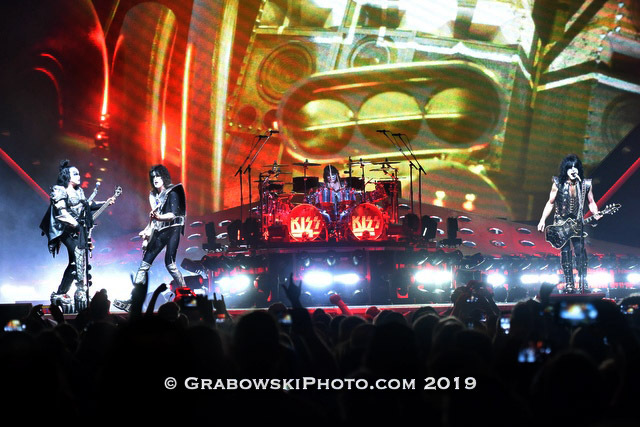 From the opener "Detroit Rock City" to "Rock and Roll All Nite", the crowd was actively engaged singing along to every moment while the band gave more than anyone could have ever expected. If this is truly the last time KISS will play in this venue, the crowd couldn't have asked for anything more. They wanted the best, they got the best. 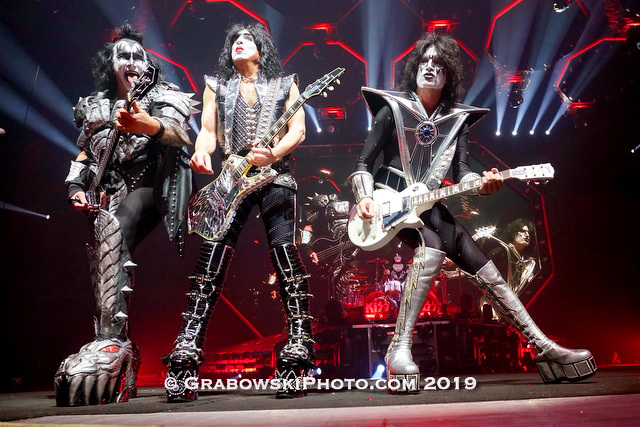 The hottest band in the world, KISS, one last time.